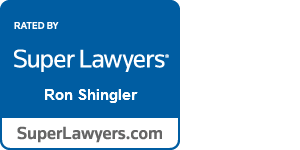 I am Ron Shingler and, in 1998, I formed what is now known as SHINGLER LAW. 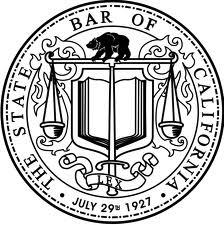 I was admitted to the California State Bar in 1989. In the 26 years since, I have worked with a great many paralegals. We represent people in asbestos cases. Most of our clients have mesothelioma and all of them die from this dread disease. It takes a certain type of lawyer to perform this difficult work. It takes a certain type of paralegal, as well. My paralegals are Superstars. We are 7 professionals, 3 of whom are paralegals. 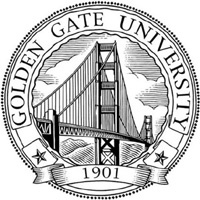 Erika is a recent graduate of the CSUEB Paralegal Studies program. She is quickly learning her craft. Rahul, also a graduate of CSUEB, has become a formidable talent over the past three years while working with us. Pat has been with me since I started practicing law. She is exceedingly talented and extremely loyal. In many respects, she is our moral center. I am grateful that these three decided to bring their talents to SHINGLER LAW. I work in a collaborative manner with my paralegals. As I have a law degree and I am a member of the state bar, and have 26 years of experience practicing law, I have abilities and training not shared by our paralegals. With that said, when it comes to dedication, insight, native intelligence, compassion, and a willingness to work hard, my paralegals are my equal. I admire them, appreciate their hard work, and more than anything else, I trust them. Over the course of my career, some 15 paralegal students have interned in our office. We welcome the interns and do everything we can to ensure a well-rounded, positive experience for them. We enlist our current paralegals to take on the responsibility of training the interns. First, we believe that experienced paralegals are well-suited to teach the interns the practical aspects of paralegal work. Second, we believe that our paralegals become better paralegals when they are given the opportunity to teach interns. If you can teach a subject, then you know the subject. As mentioned above, we handle cases for people who are dying from mesothelioma. These men and women place their trust in us as they approach the end of their lives. Their families turn to us to guide them through the dark passage of asbestos litigation. In many respects, we become something of an extended family to our clients. They may not know how brilliant my argument was in court a few days ago, or how we took down an expert witness at deposition. The nuances of the law escape their notice. What they do know, however, is that as their world is crumbling around them due to a terrible diagnosis, there is always a kind and caring voice on phone whenever they call our office. That voice, more often than not, is the voice of one our paralegals. Sorrow is met with compassion. Our clients do not weep alone.